Rocket Dodge info about the game-Games2Rule. 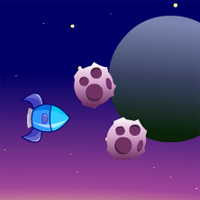 Dodge the bouncing asteroids in this tiny manic! Can you reach the end?